The citation from Princeton said, “His organizational and leadership skills, combined with his ceaseless commitment to uplifting the less fortunate, have led to innovative and enduring programs in economic development, education and health care. 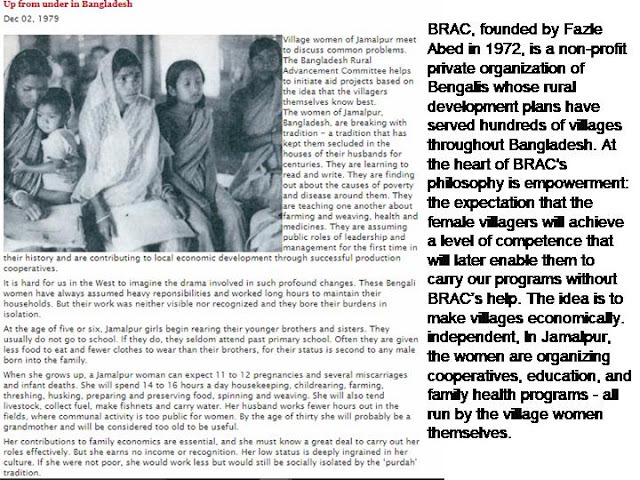 He has created a model of how to have a lasting impact on those in need; he himself is a model of what it means to live one’s life in the service of humanity.” Sir Fazle also founded BRAC University, a full-fledged university in Dhaka, Bangladesh, in 2001. Princeton President Christopher L. Eisgruber awarded degrees to Sir Fazle along with Madeleine K. Albright, former U.S. secretary of state; Herb Kelleher, co-founder of Southwest Airlines; James McPherson, the George Henry Davis 1886 Professor of History, Emeritus, at Princeton; and James West, an inventor and research professor of electrical and computer engineering at Johns Hopkins’ Whiting School of Engineering. Sir Fazle has received numerous awards for his achievements in leading BRAC, including the Open Society Prize (2013), the WISE Prize (2011), the Conrad Hilton Humanitarian Award (2009), the David Rockefeller Bridging Leadership Award (2008), the Inaugural Clinton Global Citizen Award (2007), the Henry R. Kravis Prize in Leadership (2007), the Palli Karma Sahayak Foundation (PKSF) Award for lifetime achievement in social development and poverty alleviation (2007), the Gates Award for Global Health (2004), the UNDP Mahbub ul Haq Award for outstanding contribution in human development (2004), the Schwab Foundation Social Entrepreneurship Award (2002), the Olof Palme Award (2001), UNICEF’s Maurice Pate Award (1992) and the Ramon Magsaysay Award (1980).